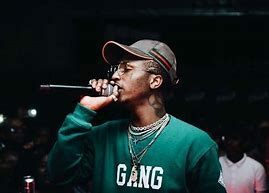 Emtee Says He Is Not To Be Blamed But Ambitious Entertainment Is! 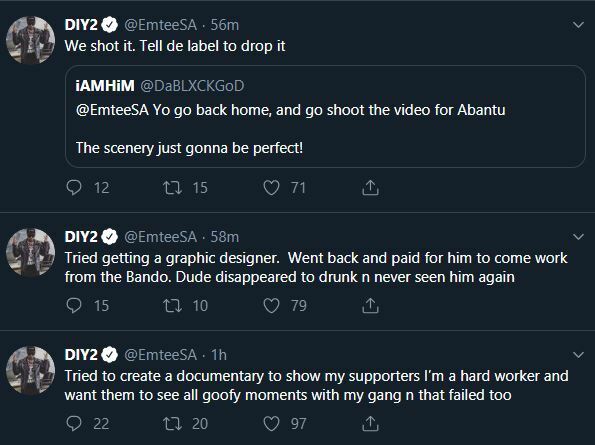 Do you think Emtee didn’t push his latest project “DIY2” enough, music videos or should have done a tour? Well, blame him not, because he says is not to be blamed. 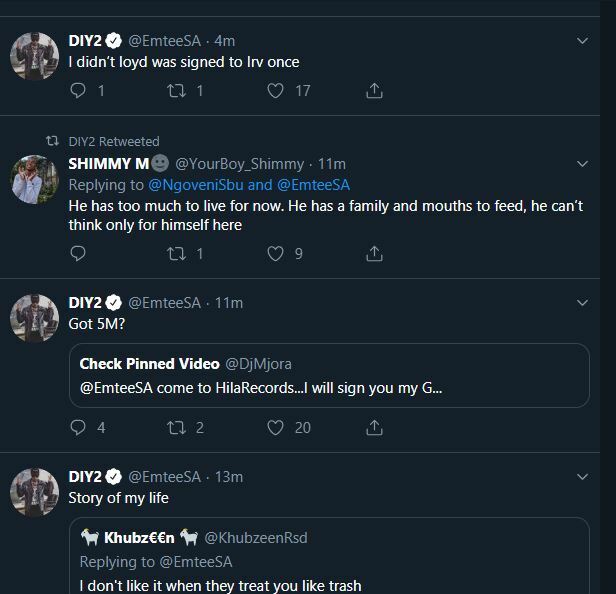 If there is anyone to blame- it’s Ambitious Entertainment, the record label he is under. 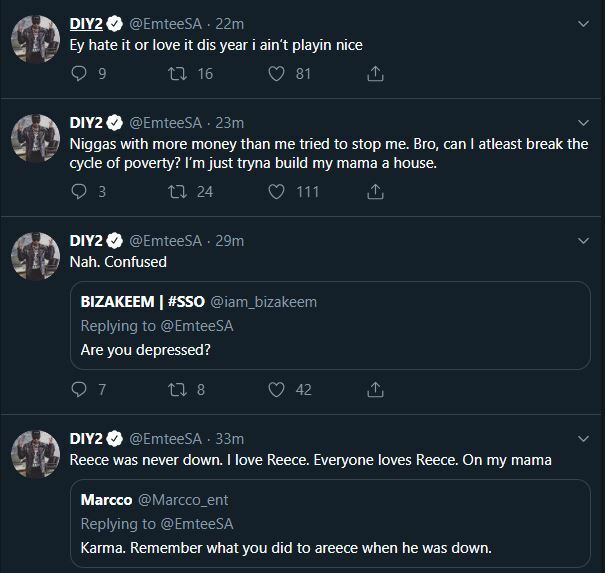 Emtee took to twitter sharing how he’s been let down and sidelined by his record label. 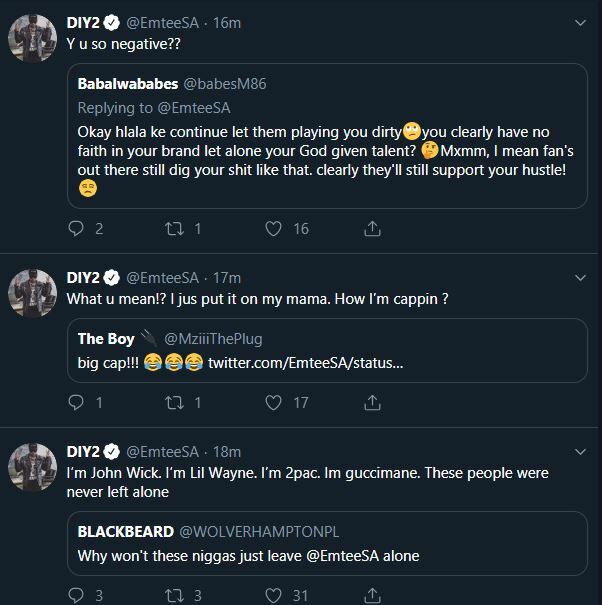 Check out his rant below.